At least 77,081 people have been put in pre-trial detention over Gulen links so far, according to Interior Minister Suleyman Soylu. Speaking during a Tekirdag meeting on Wednesday, Soylu said the total number of people who were arrested over their alleged ties to the Gulen movement between July 15, 2016 and April 11, 2018 is 77,081. 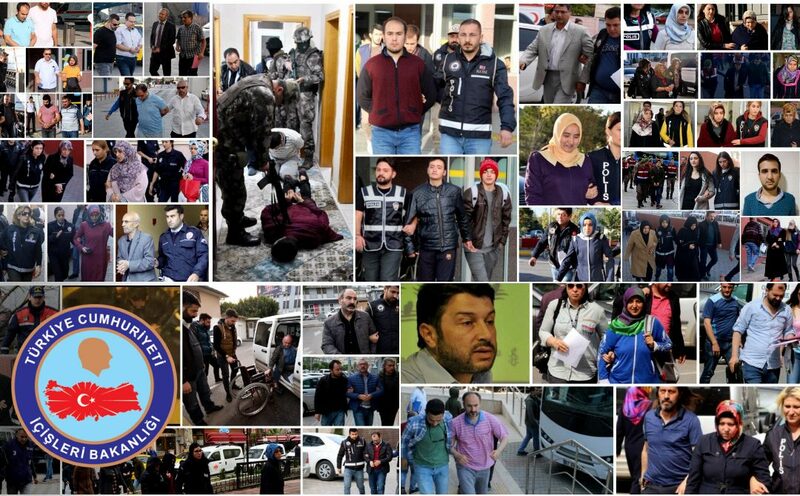 The year 2017 alone saw 20,409 operations by law enforcement across Turkey through which thousands of people were detained and 20,478 of them were subsequently put in pre-trial detention, Soylu said adding 2,706 were arrested following 6,742 operations in 2018. People who were jailed from July 15, 2016 to the end of that year totalled 53,897, Turkey Purge estimated based on stats by Soylu. Apart from the pre-trial detentions, more than 150,000 people have passed through police custody since the July 15, 2016 failed coup. Turkish government accuses Gulenists of masterminding the failed attempt while the latter denies involvement.